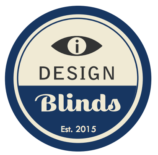 I Design Blinds, the total blinds specialist, specialises in manufacturing blinds for the commercial and residential sector. We have experience in the education sector having worked in numerous schools and universities throughout the UK. Our knowledge in providing tailored blind solutions for halls, classrooms, kitchens, science labs, offices, hospitals and homes means we are able to advise on the right blinds for each project.